Jeep riding is soon to be the newest way to have a great time at Moto Mountain Park. 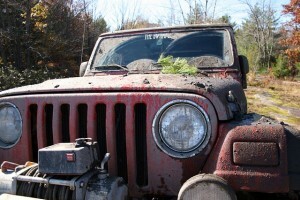 Jeep riding on Fridays – has a nice ring to it doesn’t it? If getting some time on the trails in your Jeep sounds like the perfect way to spend a Friday, you’re in luck. Starting soon we will be closing the trails on the first Friday of every month and opening them up to Jeeps only. The price will be $35 + tax to ride. If it rains on the first Friday of the month, we’ll move the Jeep riding to the second Friday. Of course, no one can predict Mother Nature with 100% accuracy, so if there is a change we will let everyone know as soon as possible. One of the reasons we’ve decided to add some exclusive Jeep riding to MMP is safety. It’s easy enough to see that Jeeps are bigger than most other rides on the trails. By creating a day for Jeep riding, we are hoping to keep anyone not riding in a Jeep safe from a collision with a bigger vehicle. Another reason is the great sense of community being on the trail with similar riders can bring. If you own a Jeep we want you to have a great time tearing up the trails with other Jeep-lovers. For us it’s all about providing a great time for whatever your interests are! It doesn’t matter if your Jeep has seen a few trails or is itching to get dirty for the first time – we want everyone to come out and have a great time. If you have questions about this awesome new activity coming soon, please feel free to call us at 706-337-5590 and ask away. We are very excited to bring some Jeep riding fun to MMP, and can’t wait to see all the trail riding fun everyone is going to have! We will be posting the start date of the Jeep riding soon, so stay tuned.